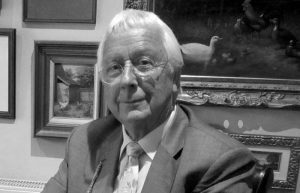 Barry joined the Sandringham board as Chairman in June 2015. 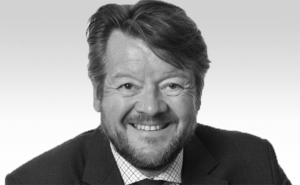 Barry has extensive experience of the provider and Intermediary sides of the financial services sector. He has held senior positions with Scottish Life, Friends Provident and The Hartford over the last 30 years and 12 years as chairman of Tenet Group and has also been a member of the director advisory board for SimplyBiz. He also sits on the AIFA Board and is a former member of the CII Life and Pensions Faculty Board. Tim has been the Chief Executive Officer of Sandringham Financial Partners since August 2015. Tim has 32 years of experience in working in financial services with 15 years of experience as working as a Chief Executive Officer. Tim is the former CEO of IFG Financial Services and has held senior positions within the IFG Group from 2002 until 2014, including Managing Director of James Hay Insurance Company and James Hay Wrap Managers. His previous CEO roles include James Hay Partnership and IFG Financial Services. 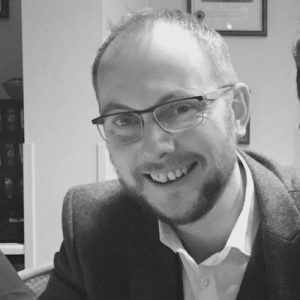 Tim has a clear focus on strategy, operations and business development in regulated businesses with practical leadership, interpersonal and relationship skills designed to inspire and motivate employees. Tim began his career at HMRC before taking a compliance role with RP Hodson (latterly Oval Insurance) in 2002. He has held positions at SimplyBiz, Vitality and as an adviser before joining 2plan Wealth Management in 2010. In 2015 he joined Sandringham where he was appointed a director in 2016. Tim currently has oversight of the firm’s compliance, investment and training functions and his team of 16 includes the Sandringham Review Services team delivering our Precision reports to clients and Partners. Tim is passionate about providing quality professional services to clients and believes that Sandringham is uniquely positioned to offer an honest and transparent relationship to advisers and clients alike. Away from the office, Tim is a keen golfer and is married with a young son. Craig joined the Sandringham Board as Chief Technology Officer in January 2018 having previously been Head of IT & Operations for the business since its inception. As well as being responsible for Sandringham’s long-term technology vision he also oversees the IT, Operational and Facility Management functions of the business. 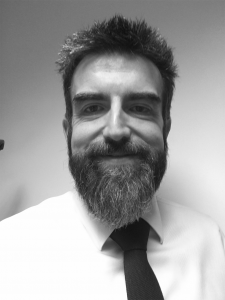 As a founding member of staff Craig’s role has always been to provide robust and scalable IT systems on which the company could grow. In 2016 Craig managed the project to re-platform our back office solution from Dynamic Planner to our current Creative Technologies platform. As a result Sandringham saw a 46% increase in average annualised Partner income in 2017. Craig is passionate about finding technology driven solutions and new digital capabilities for our Partners. 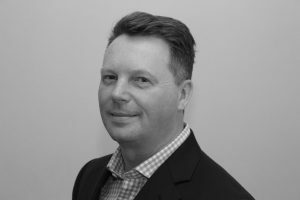 Prior to Sandringham, Craig was Head of IT & Operations at SimplyBiz for 3 years having moved into financial services from his role as Head of IT at a unified communications provider. Outside of work Craig enjoys taking part in triathlons and cycling events and has taken part in a number of charity events helping raise over £25,000 for children’s cancer charities. John, a Chartered Accountant, has exceptional all round experience of the regulatory environment, and in particular brings additional non-executive challenge and overview of the firms finance, risk and compliance functions. As well as sitting on the Board, John chairs the Sandringham risk committee and will focus on risk and governance in the business as well as providing external oversight to our finance function as we continue to significantly grow top line earnings. John’s financial services experience includes being the UK Group Finance Director for IFG Group plc from 2000 to 2015. John sat as Finance Director and as regulatory Controlled Function for all of the Group’s UK regulated businesses, including James Hay and the prestigious City-based IFA, Saunderson House. During this time John helped lead the acquisition and integration of James Hay from Santander. John has also been Chief Operating Officer for the regulated Division of Equiniti plc. John is the founder and CEO of CFO & More, which provides a broad range of CFO and board services to developing firms within the financial services industry. CFO & More focuses on strategic opportunities including acquisitions, disposals and restructuring as well as providing senior executive resource to businesses during periods of regulatory challenge. John also holds the position of CFO and NED of Delta Financial Services Limited, a FinTech company specialising in technology for the lifetime savings market.